The Food & Farming Network works to preserve agriculture as a viable economic practice in the region by protecting farmland, enhancing the affordability of farms, and supporting agricultural infrastructure in the region. Our overarching goal: to increase the resilience and double the value of the region's food and agricultural system by 2019.
website for more information, news and features. featured updates and success stories on a variety of topics. See a variety of videos featuring speakers who participated in the summit. More. offers farm businesses a continuum of financing tools and products offered by regional lenders through a one-stop application process. Financing options and resource support are tailored to the business stage and scale. See more. This video provides guidance to using Double Up Food Bucks at participating Farmers Markets. Find a participating market in NW Michigan here, or click here for markets elsewhere in Michigan. A workshop for fruit and vegetable growers was presented to help farmers achieve success in the wholesale marketplace. Video segments from each of the presenters at the workshop are available online. See more. The results of the Grand Traverse Regional Market (GTRM) Feasibility Study are in. Six months ago, with funding from the Michigan Economic Development Corporation, the GTRM advisory board and Traverse Bay Economic Development Corporation hired Market Ventures Inc., a national consultant firm that specializes in Public Markets, to complete a feasibility analysis for creating a “food hub” at Building 58 at the Grand Traverse Commons. MORE. A Farm Transition Workshop in Leelanau County focused on strategies for passing the farm on to the next generation. Video segments from each of the presenters at the workshop are available online. See more. Food Corps members Kirsten Gerbatsch and Daniel Marbury work with students in Suttons Bay, Michigan to prepare and taste roasted beets and parsnips during lunch. The Grand Vision Food and Farming Network set some new goals at its annual summit in Traverse City. Watch the video to find out more about one of those goals and how it's related to the Michigan Good Food Charter. The Grand Vision Food and Farming Network Summit in Traverse City included breakout sessions for the Network's different work groups. The Youth Engagement group talked about several things that are key to getting young people involved with the local food and agriculture system. Watch the video to find out more. The Grand Vision Food and Farming Network Summit in Traverse City included breakout sessions for the Network's work groups. The branding work group discussed developing a regional brand. Watch the video to find out more. The Grand Vision Food and Farming Network Summit in Traverse City included breakout sessions for the Network's different work groups. The investment group discussed capital needs and alternatives for food and farming entrepreneurs. Watch the video to find out more. The importance of local foods provided the focus for the December meeting of the Agriculture and Food System Sector Alliance of Northwest Michigan. Alliance members say having access to that kind of information is important to the region's Ag and Food System. Bartlett Durand owns Black Earth Meats in Wisconsin and works to promote local foods. He talked about his business and the importance of local foods at a meeting of the Agriculture & Food System Sector Alliance in Traverse City, Michigan. Watch the video to hear what Durand has to say about local foods. The Double Up Food Bucks program was featured in a student video shown at The Grand Vision Your Action event in Traverse City. The program helps make produce at local farmers markets more affordable for struggling families. The video was produced for The Grand Vision Food and Farming Network by Bridget Bernhard of West Senior High School and Josie Blake of Central High School in Traverse City. The local-food movement in northern Michigan no longer is simply a neat idea. It is fast becoming recognized as an economic necessity. The Northwest Michigan Food & Farming Network set an ambitious goal on February 17 of increasing the amount of food purchased locally in our region to 20 percent by 2020. Chamber Takes Strong Stance on Local Food! One of the FoodCorps Service Members featured here is our own region's Daniel Marbury. Hesterman to highlight acclaimed new book and offer ‘recipe for change’ on October 6, 6 pm at the State Theatre. 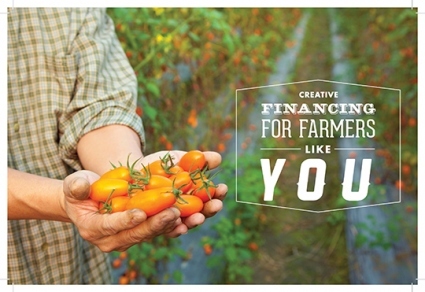 If we all spend just $10 a week on local farm foods, our regional economy will grow by nearly $5 million a year! Join in the fun and make the pledge here. Double Up Food Bucks Begins! $20 spent by SNAP (Supplemental Nutrition Assistance Program) Bridge Card users at farmers markets for the purchase of fresh fruits and vegetables, allowing for up to $40 worth of locally grown food during each market visit. For more information, a list of participating markets, and simple instruction on how the program works, click here. To be a part of the Food & Farming Network check out the Google Group, or contact Jim Sluyter his email and phone number are listed below. For a list of dates and times for Food & Farming Network monthly meetings and future events, please see the Calendar.